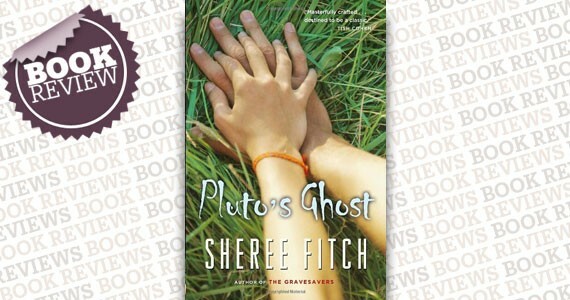 When we meet Jake Upshore, the 18-year-old hero of Sheree Fitch’s Pluto’s Ghost, he is bleeding, handcuffed and desperately in love, and can’t quite believe the mess he has gotten into this time. When his girlfriend Skye runs off to Halifax, rumoured to be pregnant, Jake rushes off to find her, determined to do the right thing for once. Nothing goes as planned and along the way he steals and wrecks a car, kills a coyote, gets mixed up in drug trafficking and finally gets arrested for murder. Fitch uses poetry, songs and wordplay to describe Jake’s anger---in his own confused and dyslexic words---and shows us the hopeful poet inside the town’s most notorious smartass misfit. Always a sucker for a teenaged bad boy, I fell hopelessly in love with Jake Upshore and I bet you will, too.